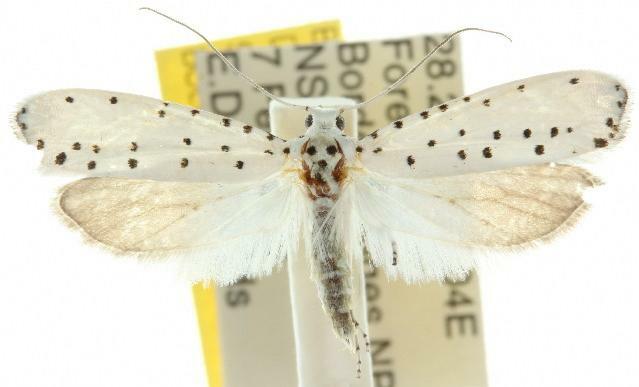 The adult moth of this species has white forewings, each with about 24 black spots, mainly distributed along the costa and the hind-margin. The hindwings are a off-white shading to pale fawn at the margins. The head is white, and the thorax white with two black spots. The abdomen is darkish, with bands of white hair. The wingspan is about 2.5 cms. Volume 22 (1898), pp. 200-201.